These Wedding Trends Will Make Your Big Day Spectacular! Trends have made their debut in the wedding world for years, and for good reason too! From unique elements of décor to visually stunning aspects within your wedding ensemble, you can creatively incorporate trends into your big day. Choosing to utilize trends within your wedding can certainly add some personalization to your big day. However, are you aware of which trends have been most popular throughout the years? Stunning shoes. Believe it or not, shoes are actually a top trend that has been prominent throughout weddings for the past few years. Brides have opted from choosing the traditional, white high heels, and instead are choosing some shoes with a pop of color or even sneakers. Also, if you are seeking to incorporate that “something blue” into your wedding in a unique way, choose a pair of bold blue shoes. Rustic theme. Some people think that rustic weddings are overdone, while others truly appreciate their beauty. Rustic themes have actually been a top choice among brides for the past few years, and they continue to remain incredibly popular. By choosing elements such as burlap, lace, and mason jars, you can create a gorgeous, rustic themed wedding that will add some country flair to your nuptials. Colorful dress. Although traditionally, wedding dresses are supposed to be white, it wouldn’t be a trend if it wasn’t beautifully different! Brides are choosing to incorporate some color into their gowns, and it is absolutely stunning. If you are incredibly bold, you can choose your wedding dress to be one solid color. However, if you are wanting to go a little more subtle, you can incorporate a little bit of color into your fabric with lace details, or a sash. Your wedding is your big day, and should be nothing less than perfect! 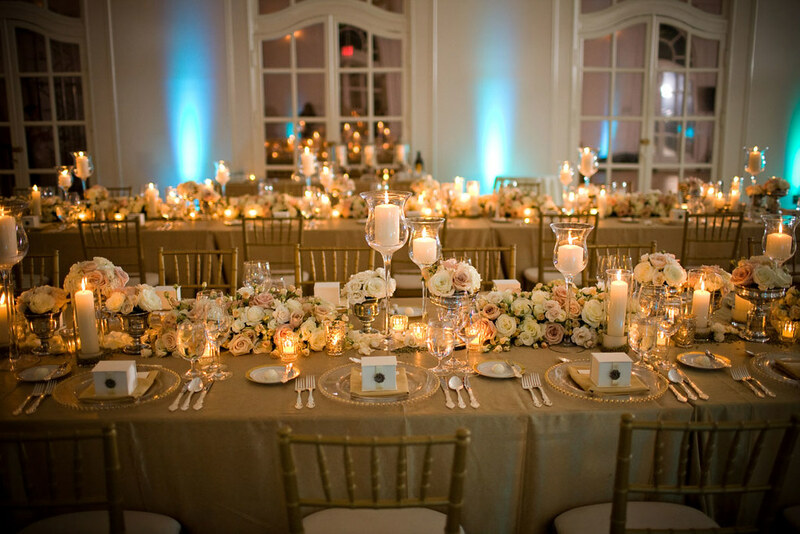 Here at Rose Petal Events, we would be so honored to assist you in planning your wedding. 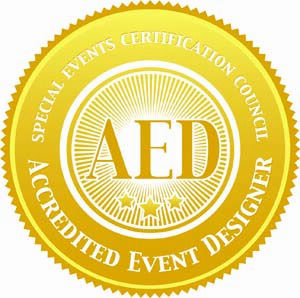 If you are still seeking a Los Angeles wedding planner, be sure to contact us today. Your memories of your wedding day and the amazing way you felt as you walked down the aisle should be unique and truly memorable, as this is your special day to shine! However, as you plan your wedding, it can be easy to draw a blank or fail to develop ideas, putting your planning at a halt. A wonderful way to find inspiration for your big day is to look at some of the current trends. Of course, wedding trends are volatile and we would not necessarily advise anyone to strictly follow them. However, we do believe that trends are a huge source of inspiration, especially if you are seeking your wedding to be unique and stylish. Natural photos. While posed photos are beautiful, it is a great idea to avoid thoroughly-planned photography and hire someone who can take natural, spontaneous pictures of your entire big day. Natural photos will appear purer, as they will feel more personal and definitely more candid, for a personal appeal. Naked cakes. Lose the cake frosting and allow your wedding cake to shine in all of its rustically beautiful glory with a naked cake! Naked cakes are all the rage at the moment as well, and for good reason too! 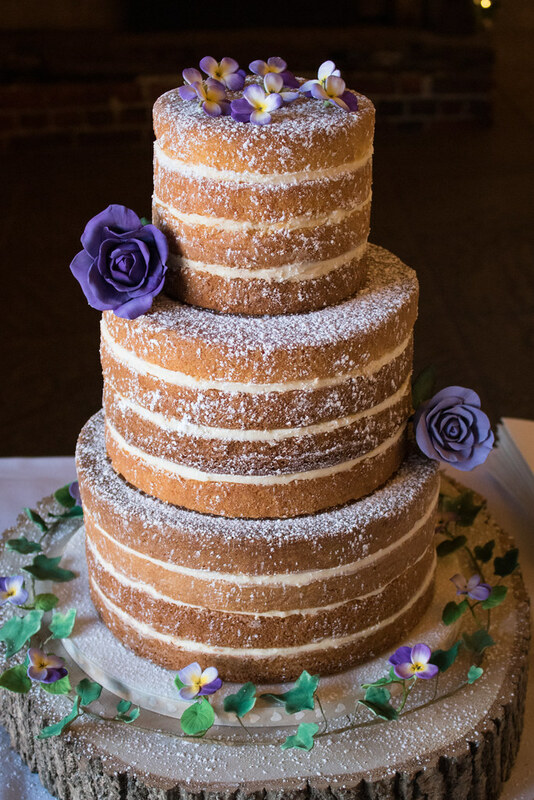 Not only are naked wedding cakes amazing in appearance, but they are more than special and they taste really great too, without globs of frosting or thick fondant covering them up. So, be inspired with their beauty and opt for an uncommonly tasty treat. Lace and metallic. Want a wedding gown that shines with femininity and elegance? Metallic shades and lacy designs are extremely fashionable right now, along with appearing absolutely timeless as well. Dress yourself in silver, copper or gold accents and add a dash of grace and beauty with some lace, and you will certainly look incredibly breathtaking! Seeing as each love story is different, every wedding should be as well, so be sure to create yours to stand out from the rest! Here at Rose Petal Events, we strive to allow your personalities to shine through within your big day, so be sure to contact us today to begin planning your California wedding.